NEW DELHI: Germany is the global leader in energy efficiency while ageing power plants and inefficient ways of electricity generation and industrial practices put India at number 11 in the latest energy efficiency ranking of the world’s 16 largest economies. The United States, having second highest per capita energy consumption in the world, comes at the 13th position — behind countries such as China, France, Japan, UK, Canada and Australia among others. Besides the US, four other countries — South Korea, Russia, Brazil and Mexico — are below India in terms of indulging in inefficient ways of energy consumption. Per-capital energy consumption of all these countries is, however, much higher than India which, with less access to energy sources and lesser number of private vehicles, pollutes less as compared to other big economies. These findings are part of the latest international scorecard, released by the US-based non-profit American Council for an Energy-Efficient Economy (ACEEE) in July. The second edition of the report analyzed the world’s 16 largest economies (15 countries and rest of the EU) covering more than 81% of the global GDP and about 71% of the global electricity consumption. The report assumes significance as it shows that the country that uses less energy to achieve the same or better results not only cuts its costs but also pollution. Certainly the rich nations like Canada, US, Australia, France, Japan and UK emit more greenhouse gases due to high energy consumption. The latest ranking appears to give an elbow room to developing countries including India and Brazil during climate change negotiation where they may insist for their ‘right to grow’ agenda, highlighting how the rich nations like US and Canada continue to pollute more due to high fossil fuel consumption. India is incidentally among the top nations in transportation energy efficiency as it has far lower number of passenger miles traveled per capita than any other major economy of the world. “Even with no fuel economy standards for passenger vehicles, India ranks third in terms of passenger-vehicle fuel economy,” said the ACEEE report. It, however, pointed out how the country, due to its inefficient ways of electricity generation and distribution, absence of the use of many other energy efficient operational methods in industries, public and private buildings and inefficient freight system, scored badly in overall energy efficiency scorecard. The report, at the same time, suggested that India would benefit from “establishing a mandatory national energy-saving goal and increasing its level of government and utility investment in energy efficiency”. The issue of the big divide in energy consumption between developed and developing countries in the context of rich nations’ historical responsibility for climate change came up for discussion during the ministerial meeting of the BASIC — Brazil, South Africa, India and China — countries here on Thursday. These four nations also discussed ways and means to have a common ground on crucial issues ahead of the December climate change talks in Lima, Peru. Environment ministers of these countries will meet on the concluding day of the BASIC summit on Friday. NEW DELHI: Gas-based plants in India are not viable because there is not enough gas in the country and Naptha-based plants produce costly energy, government said today blaming inadequate planning for the situation. Power Minister Piyush Goyal informed the Lok Sabha that power crisis in the country is a situation which he has “inherited” and is not the doing of a 67-day old Modi government. Responding to supplementaries, Goyal said gas-based plants are not viable because there is not enough gas in India. “There is not enough gas in this country and if at all, these plants have come up, there was no assurance of gas being provided at any particular price or the availability of gas was not guaranteed to any of these plants,” he said. Goyal said Kerala has some gas-based plants and it is “very difficult” to imagine how a government could subsidise power from the plants which are set up without assurance from the government. He said the Centre is sympathetic to the fact that these assets have come up and see if we can find out a suitable mechanism to support these plants. Responding to a question on Koodankulam power plant, he said there has been a lot of debate on this issue as to whether the states which did not allow nuclear power plants to come up in their states, should be the beneficiary of nuclear power generated in another state. “Having said that, as of now the policy is that power is allotted as per the Gadgil Formula. We are going by that formula and based on that formula, appropriate allocation is being made. The extra unallocated power is given to the states which are having the highest power deficiency,” he said. NEW DELHI: Chinese equipment has been used for 34 thermal power projects having a total generation capacity of 24,749 MW in more than three years, the government said today. “A total of 34 thermal power projects (66 units) aggregating to 24,749 MW have been commissioned with Chinese equipment during the last three years and in the current year up to July 2014. “Imports of two hydro electric projects aggregating to 100 MW capacity have been contracted for benefits in 12th Plan,” Minister of State for Power Piyush Goyal told the Lok Sabha. In a written reply, he also said the import of power equipment varies with projects and also depends on “the type of project, type of technology and size of unit etc”. According to the Minister, Bharat Heavy Electricals Ltd ( BHEL) is fully capable of meeting the requirements of main plant equipment for power projects. NEW DELHI: Nearly half of the country’s coal- based power plants are reeling under fuel shortages and had stocks to last less than seven days as of July end, Lok Sabha was informed today. “As on July 30, 2014…46 thermal power plants (TPPs) were having critical coal stock of less than seven days, out of which 23 TPPs were having super critical coal stock of less that 4 days’s requirement,” Power Minister Piyush Goyal said in a written reply to the Lok Sabha. Some of the power plants which are affected due to coal shortages are Indira Gandhi STPP (Super Thermal Power Plant) in Haryana, Rajpura TPP (Thermal Power Plant) and Ropar power plant in Punjab, Suratgarh TPS (Thermal Power Station) in Rajasthan among others, the minister said. The supply has been short due to various factors like less lifting by TPPs through captive modes and logistic constraints of the Railways, he said. With a view to monitoring coal supplies to the power sector, he said the government has constituted a sub-group comprising representatives of ministries like power and coal. “This sub-group takes various operational decisions for meeting any contingent situations relating to power sector including critical coal stock position,” Goyal said. NEW DELHI: All power plants which have completed 25 years of operations will be replaced with modern and environment-friendly ones to enhance production capacity, Power Minister Piyush Goyal said in Lok Sabha. He said the Centre has framed a guideline to replace all old power plants in a phased manner as their production capacity has slowed down. Frequent breakdowns, inefficiency and pollution are the main reasons behind the decision to replace the old power plants with modern and environment friendly ones in a phased manner, he said during Question Hour. Goyal said presently power situation in the country was not good but it was inherited from the previous government as the NDA government has taken charge hardly over two months ago. To a supplementary, he said 100 per cent Foreign Direct Investment is allowed in power sector and the government would welcome more funds to be invested in that sector. Goyal said the Central Electricity Authority has received detailed project reports of 117 hydro schemes aggregating installed capacity of 55,900 MW since 2002-03. Out of these, 71 schemes aggregating to 38,740 MW were concurred and the Detailed Project Reports of 27 of hydro schemes with an aggregate installed capacity of 7,730 MW have been returned to the project authorities for re-submission after compliance of various observations of CEA, Central Water Commission, Geological Survey of India and other appraising agencies. “DPRs of 19 hydro projects with installed capacity of 9430 MW are presently under examination in CEA,” he said. NEW DELHI: Over 40 crore people living in eight crore households have not got electricity and the government is making all efforts to give them power connection as early as possible, Lok Sabha was told on Thursday. Power minister Piyush Goyal said during Question Hour that it was ‘‘very unfortunate’’ that eight crore households in the country do not have power connection and this means 40 crore population are still deprived off electricity. ‘‘Even 65 years after Independence such a large number of population does not have electricity. We have to do a lot of work. We have to remove all anomalies and as soon as possible we have to provide electricity to every household,’’ he said. Goyal said a substantive amount of funds have been given to all states under Rajiv Gandhi Grameen Vidyutikaran Yojana (RGGVY) but implementation of the scheme in many states were not completed yet due to various reasons, including non- availability of land to set up sub-station. ‘‘Centre’s role is very limited in implementation of RGGVY. We cannot micro-manage everything. It is the state government which has to implement the scheme,’’ he said. The minister said the total number of unelectrified villages in the country is 12,468 of which 6,882 villages are in Bihar, 3,144 villages in Odisha and 1,009 villages in Assam. Goyal said in order to cover the villages, the RGGVY has been continued in the 12th five-year plan and 13th five-year plan covering all census villages and habitations with population of more than 100. ‘‘As per the scheme guidelines, the stipulated period of completion of electrification work is 24 months from the date of award of contract by the respective implementing agencies,’’ he said. NEW DELHI: Public sector power producer NTPC has told the government that three private firms — Jindal Steel, Monnet Group and Sarada Energy and Minerals Ltd — are running their own operations within the demarcated areas of two coal blocks allotted to it, thwarting its plans to begin mining operations. The two coal blocks in Odisha and Chhatisgarh are expected to fuel 4,500 MW of new power generation capacity being set up by NTPC that could be delayed if these blocks are not freed from encumbrances, NTPC. The private firms, on their part, stress that they have rightfully acquired the land in question with all due clearances. Jindal Steel and Power Limited (JSPL) has laid two underground pipelines across the Chandrabila coal block in Odisha allocated to NTPC. Monnet Ispat and Energy Limited is acquiring land parallel to this stretch, to lay its own pipelines. Within NTPC’s Bhalumuda coal block at Chhattisgarh, an area of about one square kilometre has been occupied and fenced by Sarda Energy & Minerals Ltd or SEML. Senior government officials said that the power ministry has flagged the problem with the cabinet secretariat and the coal ministry has decided to write to these private players to stop all activities on these coal blocks till the issue is resolved. An NTPC spokesperson confirmed that the issue has been taken up with the government for resolution. NTPC has also urged the coal ministry to ask the state governments to surrender any rights of way granted to the private firms on these blocks. “Since issuance of formal allocation letters and signing of ‘coal mine development and production agreement’ pertaining to these coal blocks are at a final stage in the coal ministry, NTPC has requested the ministry to resolve the issues,” the spokesperson said. “Presently detailed exploration is being carried out in Bhalumuda and Chandrabila coal blocks by the Central Mine Planning and Design Institute Limited or CMPDIL,” she added. The third party occupations on its coal blocks, allocated in July 2013, came to light during CMPDIL’s exploratory work and the firm has submitted a separate ‘factual report’ on the issue to the coal ministry, an official said. JSPL told ET that it had acquired the land in question in 2009 and set up the pipeline after receiving all due clearances in 2010-11. “The acquisition of the stretch of land in the said block was done by the Odisha Industrial Infrastructure Development Corporation or IDCO and on the administrative approval of the Odisha government’s steel and mines department for laying the water pipeline to meet their water requirement from river Brahmani,” a JSPL spokesman said. “The plant is meeting its water requirement through the same pipeline,” the JSPL spokesman said, stressing that the firm has not received any communication on this issue from either the authorities or NTPC. The Monnet group has set up a1050 MW power plant in the same area, backed by a captive coal mine in Angul, and the company is expanding this plant’s capacity by another 660 MW. “On the face of it, we have a pipeline of 20 km being laid alongside the one already laid by JSPL. Most of it is in the private land and safety zone of Mahanadi Coalfields which otherwise is an area which is useless and would not be utilized by it. We have all the requisite permissions and the right of way,” said a senior Monnet group official. SEML executive director GD Mundra told ET that the firm had acquired this land by following the ‘due process of law’ for setting up a 350 MW coal pit-head power plant near its coal mines. NEW DELHI: Western Coalfields Ltd (WCL) has initiated the process of signing supply agreements with non-priority sector consumers such as paper and textiles units, even as power plants that had been given LoAs (letters of assurance) by the state-run company are facing shutdown in the absence of fuel. Industry sources said WCL executives recently inspected sites of several prospective consumers from non-core sectors, including West Coast Paper Mills and Surya Laxmi Cotton Mills as a precursor to signing of fuel supply agreements. The move by WCL, sources said, is in contradiction to the government’s recent emphasis on increasing coal supplies to power projects commissioned by March 2015. Four power plants aggregating a capacity of 1,610 MW were recently commissioned on the basis of WCL’s letters of assurance. These plants belong to Ideal Energy, Abhijeet MADC Nagpur Energy, Vidarbha Industries Power Ltd and state-run NTPC. WCL is not supplying coal to any of these plants, which have to depend on costlier imports or open market supplies. WCL had asked these plants to sign FSA (fuel supply agreement) but offered coal at ‘cost-plus’ price, which is 2.5 times higher than Coal India’s notified price. Most of the plants refused to sign the FSA since WCL’s letter of assurance had not specified such condition. Though NTPC and VIPL signed FSAs but WCL has not made any of these operational. In the absence of supplies from WCL, these plants too are being forced to go for expensive imported coal and open market sourcing. Rising share prices of many power firms and prospects of better fuel availability have prompted some developers to go slow or ask a higher price for projects that seemed hopeless a few months ago, although some large groups with unmanageable debts would still have to exit to repay loans. Jindal Steel and Power Ltd (JSPL), which earlier planned to sell its proposed 1,800 mw Kamala hydropower project in Arunachal Pradesh to state firm SJVN Ltd, is considering several options now, said Ravi Uppal, MD & Group CEO of JSPL. “JSPL is open to unlock value of Kamala project by reaching out to various developers,” Uppal said and did not rule out possibility of the JSPL developing Kamala project on its own. 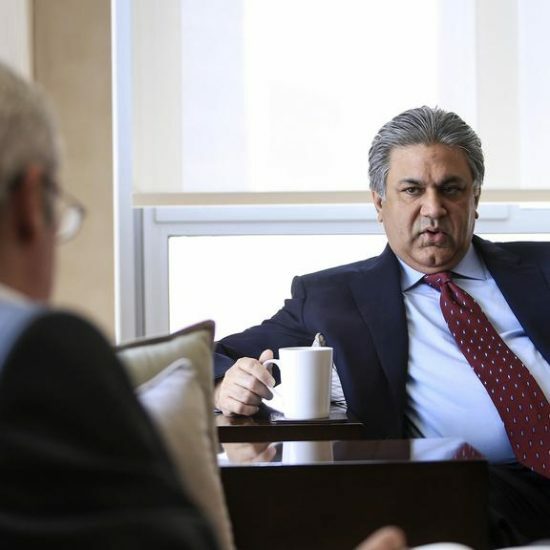 Essar Energy CEO Sushil Maroo said many developers were no longer desperate to exit. “Expectations of developers who wanted to sell their power generation assets have gone up due to improved sentiments in the sector. Improved prospects have reduced sellers’ desperation to exit from power sector,” said Maroo. Struggling developers who put their total 35,000-50,000 mw of generation capacity on the block are becoming confident of coal availability, quicker green nods and even additional finances to put their projects back on the track. Announcements in union budget to provide ‘coal for all’ projects and recent deal worth Rs 12,300 crore between Reliance Power and Jaypee Group too has enthused investors confident of good days ahead for power sector. KPMG India’s head of infrastructure and government services Arvind Mahajan told ET that companies with potential to access funds will try to complete their ongoing projects or improve performance of operational projects in next few quarters to go for listings with improved balance sheets. “Earlier, market was not conducive for power project developers to raise money through public issues but they are optimistic now in a changed scenario. So, stronger companies will wait and watch instead of hurrying up. However, companies that diversified into power sector with single generation asset may continue to look for buyers due to pressures from the financiers,” said Mahajan. The valuation of major power producers such as Tata, Adani, Essar and Reliance Power have gone up by at least 25 per cent in past few months in the stock market as investors are anticipating recovery in the sector. Rising valuation gives power producers new hope According to Mahajan, India will witness demand for electricity going up from 2016-17 onwards if the economy start doing well. “Developers did not announce new projects in past 2-3 years and power projects that are under commissioning at the moment will have good market opportunities,” Mahajan said. The minister for power, coal and renewable energy Piyush Goyal says many international investors have sought appointments to participate in Indian power sector. Goyal had earlier requested financial institutions to prepare a roadmap of recovery for beleaguered power projects. Power sector executives are confident that the government’s approach should revive the sector. “The policies and initiatives of the government to enhance the interministerial coordination and formation of new redressal forums among others appear to have gathered momentum. This, I feel, should provide a long overdue stimulus to the sector and we hope to see the positive impact in the months to come. This shift in functioning of the government is apparently at the centre of the positive sentiments,” said Ravi Arya, Hindustan Power Projects’ president for thermal projects. NEW DELHI: India and Australia have completed negotiations for the much-awaited civil nuclear agreement, which is likely to be signed during the visit of Australian Prime Minister Tony Abbott early September. It will pave the way for uranium imports from Australia, making it one of India’s top strategic partners. With the Australian agreement done, Japan is certain to come under pressure to assure this deliverable when Modi visits Tokyo on August 31. While the Japanese are yet to take the final decision, there are indications that it might be the big deliverable during Modi’s visit. Abbott is scheduled to visit India a day after Prime Minister Narendra Modi returns from his first visit to Japan on September 3. Modi is scheduled to visit Australia for the G-20 summit in November. It will be the first time in the history of the bilateral relationship that there would be two visits within a calendar year, said sources. Australia is heading to becoming one of India’s top energy sources. India is among Australia’s largest coal export partners. India and Australia are currently in the process of working out the administrative arrangements that will govern the actual implementation of the deal. India has been negotiating a civil nuclear agreement with Japan for the past four years. Japan is yet to step off the bench with Japanese diplomats calling it a “difficult” decision. Indian officials say they would wait for the Japanese to make up their mind, but if the negotiations go on for much longer, India is likely to look for alternatives. France’s Areva, GE-Hitachi and Toshiba-Westinghouse need an India-Japan nuclear deal for progress on their plans to set up nuclear power plants in India. Last week, Australia cleared Gautam Adani’s Carmichael coal project in the Galilee basin in Queensland, which holds some of the largest untapped coal reserves. Indian company, Petronet, in August 2009 signed a 20-year deal to buy 1.44 million tonnes per annum of liquefied natural gas (LNG) from Australia’s Gorgon terminal. JAIPUR: The Rajasthan government has scraped the incentive it offered on land rates to solar developers putting at risk the generation of about 400 megawatt that would bring in investments worth Rs 3,000 crore in the state. In an order last Monday, the government said that the solar power developers will now need to pay the DLC (District Committee Level) rate without any relaxation for obtaining land. The amendment to the existing policy comes at a time when the government has set a target to add 25,000-MW capacity in next five years.Earlier, as per the solar policy 2011, land was allotted to developers at 10% of the DLC rate to attract investments in the state and this was the crucial trigger for companies to prefer Rajasthan, which has vast tracts of land. The decision will immediately affect about 10 power developers who had won 355 MW under the National Solar Mission’s (NSM) Phase-II, Batch-I auction, taking into account the prevailing land rate of 10%. These companies have already signed power purchase agreements with the Solar Energy Corporation of India between January and March this year and were awaiting land allotments. “The sudden amendments to the rules governing the land prices will put many projects in jeopardy. The companies had offered a lower price to sell power basing on the concessions on land rates. The new land rates will destabilize the project cost and profitability of many of these companies. Moreover, the state will lose credibility as the industry attaches high priority to stability of policy since they commit thousand of crores of investment. Such a move runs the risk of scaring away investors from future auctions as well,” said Sunil Bansal, general secretary of Rajasthan Solar Association. Besides the new capacity under NSM, investments worth Rs 300 crore under the state programme are expected to get stuck owing to the unexpected rise in land rates, added Bansal. On the contrary, Madhya Pradesh is providing land at free of cost (Re 1) to power developers to woo investments. It had never won any capacity in the previous rounds of NSM auction. However, because of the recent industry friendly incentives, MP received 290 MW in the latest NSM auctions. “The myth that Rajasthan is by default the natural choice for solar power generation is nobody buying these days. Many states including MP, Gujarat, Tamil Nadu, Karnataka, Andhra Pradesh and Uttar Pradesh have positioned themselves as potential locations and have been in the forefront in attracting investments with investor friendly policies and incentives. Rajasthan needs to wake up now and smell the coffee,” added Bansal. The developers are already battling the issues of anti-dumping duty, which will not only render solar panels and other equipment in the country costlier but also make it difficult to source them in required time to meet the deadline of project implementation. NEW DELHI: Power solutions provider Jakson Group today said it has bagged a contract from Delhi Metro Railways Corporation to install roof top solar power plants that will help DMRC meet its operational requirements such as lighting of the stations. Under the deal, the company will set up roof top solar plants with an aggregate power capacity of 250 Kwp (kilowatts peak) at DMRC’s three premises — Pragati Maidan Metro Station, Anand Vihar Metro Station and Metro Enclave, Saket. The power generated by these plants would be used for DMRC’s operational requirements including station lighting and other loads, Jakson Group said in a statement. Jakson Power Solutions is targeting to commission the three projects within next six months. “With our expertise and rich engineering heritage, we are positive about completing the projects within the deadline,” Jakson Group Joint-Managing Director Sundeep Gupta said. Jakson Engineers, an arm of Jakson Group, has signed a Power Purchase Agreement with DMRC, the statement said. The solar plants would come up as per the RESCO model wherein DMRC would pay for the units generated by the plants and the capital investment would be provided by Jakson. Jakson Group’s core businesses include generating sets, power distribution, solar power and electrical contracting, among others. NEW DELHI: The auction of three coal blocks has been cancelled as issues related to certain clearances need to be “revisited”, the government said today. “With the approval of competent authority it has been decided to cancel auction as issues concerning prior clearances etc. need to be revisited,” Coal and Power Minister Piyush Goyal said in a written reply to the Lok Sabha. The erstwhile UPA government had in February issued notice inviting applications, offering three coal blocks for mining to companies engaged in production of steel, cement and sponge iron. “A notice inviting applications (NIA) offering three coal blocks (for steel, sponge iron and cement) was issued … And two bids were received by Central Mine Planning & Design Institute Ltd up to the bid due date (June, 25, 2014) for Andal Babuisol coal block for Sponge Iron,” Goyal said. Of three blocks, which have total reserves of 500 million tonnes, two are in Jharkhand and one is in West Bengal. Jhirki and Jhirki (West) mine having reserves of 267.91 million tonnes in East Bokaro coalfield, Jharkhand was offered for steel industry. Andal Babuisol block having reserves of 103.841 million tonnes in Raniganj coalfield, West Bengal was for Sponge iron industry, while Tokisud-II block having reserves of 127.692 million tonnes in South Karanpura coalfield of Jharkhand was for cement sector. The former UPA government had drawn flak for delaying auction. CAG had earlier said allotment of 57 mines to private firms without auction had resulted in a notional loss of Rs 1.8 lakh crore to the exchequer. NEW DELHI: India’s coal ministry said it was studying the recommendations of consultants Deloitte on restructuring options for Coal India, the state behemoth that has failed to meet its output target for years despite having access to large reserves. A government committee has urged the ministry to restructure the world’s largest coal miner to help reduce shortage of the fuel, which accounts for more than two-thirds of the power generated in the country. Responding to a lawmaker’s question in the parliament if there was plan to break up Coal India, Coal and Power Minister Piyush Goyal said on Thursday that a draft report submitted by Deloitte on “possible restructuring options” was “under consideration”. Reuters reported on May 21 that new Prime Minister Narendra Modi was exploring breaking up the company and opening up the nationalised sector to foreign investment to boost output and cut imports. Sources have said that one of the options was to convert some of the seven producing units of Coal India into independent firms, and making respective state governments equity holders to help speed up land acquisition and other such processes. The company produces about 80 percent of the total coal dug out in India and feeds all but four of the 86 coal-based thermal power plants, but its inability to raise production fast enough has made India the third-largest importer of the fossil fuel. Imports hit 168.4 million tonnes in the fiscal year through March 31 and are rising, as the new government has promised to scale up power output to light up every home. About 400 million of the 1.2 billion Indians still live without electricity. Shipments of thermal coal, used in power generation, are expected to surge 11 percent to 150 million tonnes this fiscal year, according to online market operator mjunction. With growing imports and power plants running on critical stocks, the clamour for Coal India’s restructuring has grown. The finance ministry said in its Economic Survey report on July 9 that the process of “restructuring Coal India needs to be pushed through swiftly”. But as the government looks to shape up Coal India for a potential stake sale and restructuring, the miner still faces basic problems such as lack of enough mechanical shovels, dumpers and explosives. Goyal will also have find a way to deal with Coal India’s powerful unions, which have vowed to hit the streets against any stake sale or restructuring.